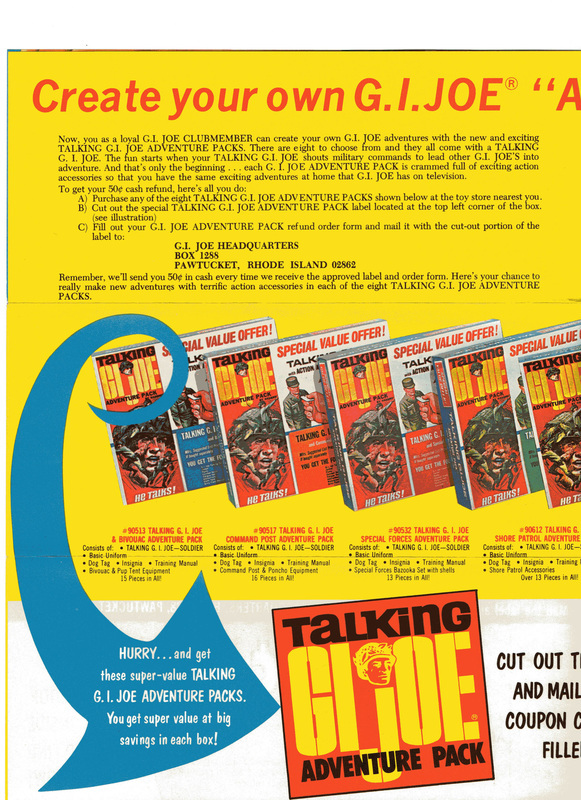 When Hasbro had excess stock to unload they would sometimes bundle it into special value sets. This practice was used primarily at the end of the military line, when they were blowing out old stock to prepare for the re-orientation to the Adventure model. 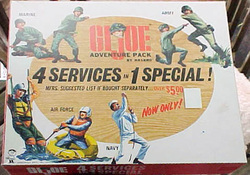 The outer boxes for these sets were fairly thin cardboard, and the corners of the tops weren't even glued, they were just held shut by the shrink wrap applied over the package. This fragility has led to a low survival rate, so these boxes can be tough to find. 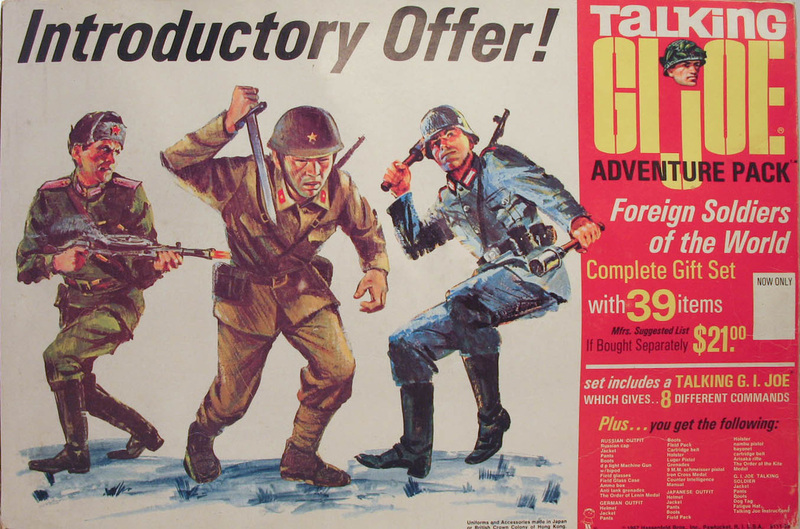 The flyer below was sent to GI Joe Club members offering them a rebate on Adventure packs. Sign me up!